So it’s February and that means…Valentine’s Day. But if you’re not in love, that doesn’t mean you can’t celebrate! Throwing a singles-only Valentine’s Day party is a great way to celebrate being unattached, enjoying the company of good friends. 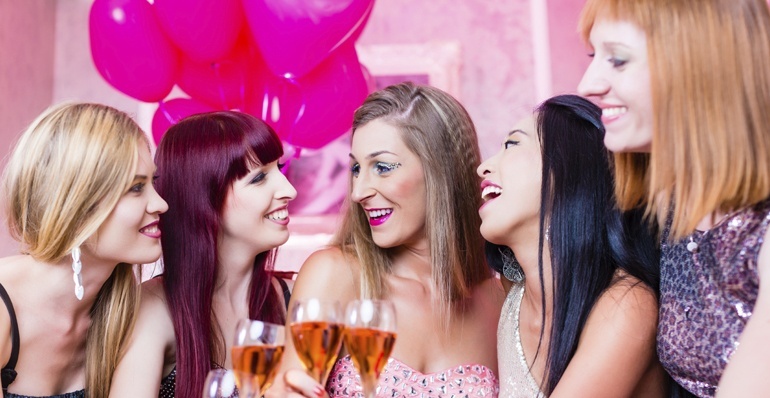 If you’re not quite sure where to start, below are some venue ideas and tips to help you throw a proper singles-only Valentine’s Day party that even your friends with significant others would envy. Art studios/galleries are a great spot to hold your party because they’re visually interesting, and they normally have plenty of standing room to work with for mingling and interaction. When it comes to mixer parties, most party planning experts agree that the less seating you have in the venue, the better, because it keeps guests mobile (instead of plopping down on a couch all night), allowing them to flow from person to person, meeting new people and chatting it up. Hardly anyone will object to holding a party at a place where a wide variety of fine wines or craft beers can be explored. Venues such as Rhinegeist or ZPlace are excellent examples of venues that offer a refreshingly different setting along with ample space to host a fun and memorable Valentine’s Day shindig. If you want to step up the fun quotient – and get people talking – try an escape room experience. This real-world adventure game will have your pulse racing as you and a team of fellow partygoers are tasked with figuring out how to escape a locked and themed room within 60 minutes. Using various objects and clues within the room, you work with your team to solve a series of riddles and puzzles in order to find the key that unlocks the door and earns your freedom. Houdini’s Room Escape, the wildly popular escape room Cincinnati venue, offers not only the escape rooms themselves, but they also have an excellent meeting space for you to hold your party before or after the experience. Develop a list of invitees. This should mainly include your single friends, but encourage them to bring a guest (or two) whom you may not know, to liven up the interaction with a mix of familiar faces and newcomers. As far as decorations go, ditch the doily hearts and pink ribbons and go for something a little more contemporary. You could choose to go with an elegant graphic table liner (something as simple as a DIY XOXO painted tablecloth), and branch out beyond pink and red roses into other blooms with a variety of colors. Keep the menu simple, with plenty of appetizer-style foods that people can eat while carrying on a conversation. If you’re not quite sure which foods to choose, Food Network published an excellent list of 50 easy appetizer recipes. As you well know, drinks are pretty much the focal point of any Valentine’s Day soiree. For some excellent V-Day cocktail ideas, check out the wisdom of entertaining guru Martha Stewart.